The Zohar opens this parasha with Rabbi Shimon saying “, הַמִּשְׁפָּטִים וְאֵלֶּה”, “Now these are the ordinances which you shall set before them”, these are the laws of reincarnation. The laws for the souls coming back to this world, according to the judgment they had received based on their prior life actions. When the Torah says “חִנָּם יֵצֵא לַחָפְשִׁי וּבַשְּׁבִעִת יַעֲבֹד שָׁנִים שֵׁשׁ עִבְרִי עֶבֶד תִקְנֶה כִּי”, If thou buy a Hebrew servant, six years he shall serve; and in the seventh he shall go out free for nothing.”, This reveals some of the secrets of reincarnation. The soul returns to the world because of its sins, or because it didn’t complete Torah and Mitzvoth in its life. By those laws, the soul is forced to come back dressed in a physical body. Time sensitive message from the prophet Zechariah. Read now. One of the rare occasions where the Bible mentions a specific date is in the prophecy of Zechariah chapter 1. This date is on Monday Feb 8, 2010, 24th of Shevat, and it is important to read and connect to the prophecy of Zechariah. If the Bible mentions the date then it is significant and important to observe. The line is the energy feed from the supernal Binah to Jerusalem, which is Malchut. It is the same line mentioned in Genesis 1:9 in the word “יִקָּווּ” and when Jacob ‘hit the place’ Genesis 28:11” וַיִּפְגַּע בַּמָּקוֹם”, the place is the point where the Line from above meets in Jerusalem. The line = “קו” is found between the first Mem מ and the Final Mem ם. שְׁמַע-נָא יְהוֹשֻׁעַ הַכֹּהֵן הַגָּדוֹל, אַתָּה וְרֵעֶיךָ הַיֹּשְׁבִים לְפָנֶיךָ–כִּי-אַנְשֵׁי מוֹפֵת, הֵמָּה: כִּי-הִנְנִי מֵבִיא אֶת-עַבְדִּי, צֶמַח. Hear now, O Joshua the high priest, you and your fellows that sit before you; for they are men that are a sign; for, behold, I will bring forth my servant, Tzemach. The servant that God promises to bring is the Mashiach. The stone is the same store that Jacob slept on when he ‘hit the place’. It has the connection to the 7 Sefirot and it exists in the Temple Mount in Jerusalem. God will create opening to the light of Chokmah and remove all negativity in one day and bring the final and lasting peace. Let us pray to have the merit to see the fulfillment of this prophecy Today, Amen. I suggest reading the full prophecy Zechariah 1, 2, and 3 from the Bible. Please share and forward to your friend. Author Zion NefeshPosted on February 7, 2010 Categories Main29 Comments on Time sensitive message from the prophet Zechariah. Read now. Joseph died once but his death is mentioned twice. us to Malchut. He was sent to Egypt, which is Malchut of Malchut of this world to control it and to initiate the process of the correction of the system until the coming of Mashiach. With the words ‘Pakod Yifkod’, he mentions the final redemption. And Joseph took an oath of the children of Israel, saying: ‘God will surely remember you, and ye shall carry up my bones from hence. 70 is mentioned again to point to the system of the world of action (Asiyah) with seven levels of 10 Sefirot each that was completed. 70 and 10 are connected to the final redemption. The second temple was destroyed 70 years after the first one with the 10 Martyrs paying for the sin of the brothers (selling their brother Joseph). The 10 martyrs cleansed the sins of the “fathers” and started the process of the building toward the third and final temple. The family of 70 souls, the brothers and Joseph, provide a link between the spiritual and physical worlds as well as a process of correction to the final redemption. Jacob was destined to continue the line of Abraham and Isaac. He knew what his work was before coming to the world. He let Esau come out first to remove the negativity attached to every first born (from the first sin). He bought the blessings before Isaac was ready to give them. Genesis 25:30,31,32 "וַיֹּאמֶר, יַעֲקֹב: מִכְרָה כַיּוֹם אֶת-בְּכֹרָתְךָ, לִי. ", "And Jacob said: \’ First sell me your birthright.\’". Birthright in Hebrew is "בְּכֹרָתְךָ" spelled as "בִּרְכָתֶךָ" "your blessing". When Esau sold Jacob his birthright he also sold him his blessing. Jacob did a "Kosher deal" and Esau left to his fault. וַיֶּאֱהַב יִצְחָק אֶת-עֵשָׂו, כִּי-צַיִד בְּפִיו; וְרִבְקָה, אֹהֶבֶת אֶת-יַעֲקֹב. Isaac is the left column, he represents the desire (for the light).Esau expressed this desire in the material world and created affinity with Isaac on that level. Love is the same word as equality and oneness in the Torah. Rebecca loved Jacob because she was Malchut (female energy) and he was pure and represented the central column (the channel of the light). Here lies a secret on how to draw the Light into our lives. First we have to work for our food, then let go of it in order to create a space for the light to come in. Now Rebecca knew that Esau was not fit to handle and channel the blessing of his father. This blessing was supposed to affect the continuation of the coming generations and Jacob was the right channel for this light. Rebecca commanded him to follow her instructions. Genesis 27:8, “וְעַתָּה בְנִי, שְׁמַע בְּקֹלִי–לַאֲשֶׁר אֲנִי, מְצַוָּה אֹתָךְ” “Now therefore, my son, listen to my voice according to that which I command you“. Jacob was destined to continue the line of Abraham and Isaac. He knew what his work was before coming to the world. He let Esau come out first to remove the negativity attached to every first born (from the first sin). He bought the blessings before Isaac was ready to give them. Genesis 25:30,31,32 “וַיֹּאמֶר, יַעֲקֹב: מִכְרָה כַיּוֹם אֶת-בְּכֹרָתְךָ, לִי. “, “And Jacob said: ‘ First sell me your birthright.’“. Birthright in Hebrew is “בְּכֹרָתְךָ” spelled as “בִּרְכָתֶךָ ” “your blessing”. When Esau sold Jacob his birthright he also sold him his blessing. Jacob did a “Kosher deal” and Esau left to his fault. Esau’s lesson teaches us not to fall into immediate gratifications, which distract us from the real purpose and work in life, the Light and the continuation process. VeZot Haberacha – Beresheet – Solving The Mystery, where is Moshe? G-d is giving a personal care for Moshe upon him leaving the world. As we know from the Zohar, Moshe was at the level of Daat (the connection Sefirah of Chokmah and Binah). It is above the physical level. In Deuteronomy 31:2, Moshe is telling the Israelites " And he said unto them: \’I am a hundred and twenty years old this day; I can not go out and come in anymore; " in his preparation to transfer the leadership to Joshua . Go out and come in refers to the traveling from the physical to the spiritual in order to talk to G-d. No one could see G-d and live because to see G-d you need to be spiritual. Moshe could transform himself to go between the two dimensions. The parasha of V\’zot Haberacha is the final parasha of the Torah. Kabbalah explains that this is the level of Malchut of Malchut, which is the total manifestation of the Light. The first verse has twelve words and it is the connection to all the blessings the Israelites received from G-d. The Zohar tells us that the first letter ” ו ” is the reference to Zeir Anpin, (The Light) and ” זֹאת ” is the reference to Malchut (the Vessel). The first word also has the numerical value of 414, which is equivalent to twice the value of the word ” אור ” (Light). The following 3 letters ” הבר ” also value to 207 = ” אור “. The next two is ” כה ” = 25 (I\’ll explain later). There are three streams of Lights revealed with the first 7 letters of the Parasha to bring this ultimate manifestation of the Light in balance. In the blessings of the Kohanim (Priests in the Holy Temple), G-d is instructs the priests to bless the Israelites with the word ” כֹּה ” Numbers (6:23) ” דַּבֵּר אֶל-אַהֲרֹן וְאֶל-בָּנָיו לֵאמֹר, כֹּה תְבָרְכוּ אֶת-בְּנֵי יִשְׂרָאֵל: אָמוֹר, לָהֶם “. The seed of the blessing is in the word ” כֹּה “. After that (numbers 6:24,25,26) comes the three verses that begins with the Letter ” י “, ” יְבָרֶכְךָ “, ” יָאֵר ” and ” יִשָּׂא ” that draws down the three levels of light for the right, left and central column. The twelve words create the channels to the twelve tribes, and the twelve months of the year. The parasha is always read on Simchat Torah, the eighth day of Sukkoth. We know that the Eighth connects us to the level of Binah, a full revelation of light on this world. The Ari (Rabbi Yitzchak Luria), reveals us that on that day we have a complete unification of the Light and the vessel, (Z”A and Malchut). We explained on previous commentary that when we have supernal connection of the Light and Vessel, a couple should not connect physically. We read V\’zot Habracha and immediately after we start the reading of Bereshit (Genesis). We make the connection from below to upper; we connect the Malchut (Deuteronomy, V\’Zot Habracha) with Keter (Genesis, The story of creation). The sum of the first seven letters ” וְזֹאת הַבְּרָ ” is 621 and it equals to Keter ” כתר ” = 620 + 1 for the whole. We start the New Year with the blessing of Moshe where he repeats the blessings given to the sons of Yaakov and Yosef. They are not alive at the time of the blessings but in this process, the light of the blessing is revealed and projected for the whole year. G-d is giving a personal care for Moshe upon him leaving the world. 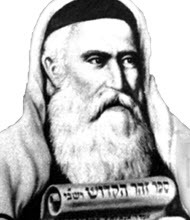 As we know from the Zohar, Moshe was at the level of Daat (the connection Sefirah of Chokmah and Binah). It is above the physical level. In Deuteronomy 31:2, Moshe is telling the Israelites ” And he said unto them: \’I am a hundred and twenty years old this day; I can not go out and come in anymore; ” in his preparation to transfer the leadership to Joshua . Go out and come in refers to the traveling from the physical to the spiritual in order to talk to G-d. No one could see G-d and live because to see G-d you need to be spiritual. Moshe could transform himself to go between the two dimensions. When Moshe passed away he was in a spiritual form and therefore, no one could handle a burial for him. Moshe is actually alive and will reveal himself with the Mashiach. As we explained in previous commentary, the Word ” היום ” (this day) is a code word for the day Mashiach will be revealed. The verse above tells us that no one “knew” his burial site. The Torah uses past tense to tell us that we will see Moshe in the Future, which is ” הַיּוֹם ” (this day). The Ari (Rabbi Isaac Luria) in Shaar Halikutim , Genesis, gives some explanation about the name of 42 (Ana B\’Koach). This name created the whole world and it comes from the first 42 letters of the Torah. The first 6 letters are ” אב גי תץ ” are from the first word of the Torah ” בְּרֵאשִׁית ” “in the beginning”. The Ari says that the first two letters ” אב “, in Hebrew, Father, is Moshe because he is the Father of the Torah. The next two letters, ” גי ” (numerical value 13) are from the verse ” וַיִּקְבֹּר אֹתוֹ בַגַּי … ” (Deuteronomy 34:6) for Moshe that revealed the 13 attributes (Which we read in Shabbat Chol Hamoed Sukkoth). The last two of the six ” תצ ” for Moshe as in (Deuteronomy 33:4) ” ת ּוֹרָה צִ וָּה-לָנוּ, מֹשֶׁה “. We see that the word ” בְּרֵאשִׁית ” starts with a large letter ” ב “, and is spelled out as ” בית “, that means house in Hebrew. In the above verse (34:6) ” וַיִּקְבֹּר אֹתוֹ בַגַּי בְּאֶרֶץ מוֹאָב, מוּל בֵּית פְּעוֹר; ” we have a missing letter ” א “, in the third word of the verse. The commentator “Baal Haturim” says that this letter is missing so no one can know Moshe\’s burial site. Rashi says that Moshe\’s burial site was ready from the days of creation. We understand that there is no physical burial and Moshe\’s soul is where G-d placed him. The Torah scroll written on 248 columns that each one of them start with the letter ” ו “, except for six places and the different letters are ” ביהשמו “. We see the letters of Moshe\’s name in the Middle. The numerical value is equivalent to ” משה־חי “, (Moshe is alive), also equal to ” המשיח “, (The Mashiach). My friend, Ezra, pointed to me that the numerical value in (34:6) of ” בַגַּי בְּאֶרֶץ מוֹאָב ” is equal to 357 and when we add 1 for the missing letter ” א ” we get 358, which is the numerical value for ” משיח ” (Mashiach). Rabbi Avraham Abulafia refers to the verse in Genesis 1:2, ” וְרוּחַ אֱלֹהִים, מְרַחֶפֶת עַל-פְּנֵי הַמָּיִם “, ” and the spirit of God hovered over the face of the waters ” and says that the spirit of G-d is the spirit of Mashiach hovering over the water. The Torah is water and the spirit of G-d, the Mashiach is the letters of ” ביהשמו ” that is like hovering over the Torah and it represents the spirit of Mashiach. The sages said that Moshe is the first redeemer and will be the last redeemer. We know that Moshe is alive and he holds the spirit of Mashiach. Let us pray that he will reveal himself with the Mashiach, Today, Amen. Author Zion NefeshPosted on October 7, 2009 October 8, 2009 Categories body and soul, Deuteronomy, Torah2 Comments on VeZot Haberacha – Beresheet – Solving The Mystery, where is Moshe? Behalotcha -Do we have five or seven books in the Chumash? A strange question but in this parasha we have a unique situation. Somewhere in the middle of the parasha we have two verses between two unique letters. The Midrash discussed this issue and it is accepted by many that the two verses turns the Books of Numbers into three books and the Torah to have seven books. Up to the first letter, “ ” the Torah describes the building the spiritual system for us and teach us how to connect to the light. In Behalotcha, the third parasha of Numbers is related to the Kohen. The book of Numbers starts with the parasha of Bamidbar and it deals and connects with Yisraelites or Yisrael, Naso count and deals with the Levites, Behalotcha connect the Kohen with the Menorah and the seven candles. Together they are making the vessel “כלי” for “כהן־לוי־ישראל” (read my commentary on Naso). The Kohen connects to the Menorah, which is the plug in tool to draw the light of the supernal through the seven sefirot to our world. This is all up to the first Nun, “” and the following two verses activated the system. The Torah (Zeir Anpin) is now in full force and the Light can flow to the world. It gives us the power to manifest desires into physicality. The Torah is our GPS (G-d P-rovided S-ystem). In the desert, the cloud and the pillar of fire guided the Yisraelites in their travels to the Promised Land. All we need is to follow the system. What makes these two verses so special? Before them the Torah was five parts (hand of G-d) and now seven parts, Zeir Anpin (six Sefirot) and Malchut (1). Remember that Z”A is the letter “ו” of the Holy name. The physical Torah is rolled like the shape of the letter Vav. Because the Torah is a tool for us to use in this world it needed the transformation from five to seven. The Kohen uses the Menorah with the seven candles to draw this light. It had to happen in the same parasha. Before we take the Torah out of the Arc we recite these two verses, in order to activate the Torah as Zeir Anpin. The Arc itself is the vessel and Light of Chokmah and Binah, the Torah is Zeir Anpin and the “תיבה” Teivah, also means word in Hebrew and it is where we place the Torah for reading, the Malchut. We need seven men to “come up”, have an “Aliya”, “עליה”, to activate the different levels and draw the Light. It is all a spiritual technology that G-d gave us to choose to connect. Some reforms allow woman to go up to the Torah. It may look nice and advanced but it is not the technology. Woman is Malchut and she can not channel the Light. She is the vessel, the desire and the reason for the Light to come in. That is why a Jew is someone that was born to a Jewish mother. The light goes to the vessel. The work is for the man and that is why men need to pray/connect everyday. Women’s main spiritual work is the connection to the Shabbat, which is the seventh day, Malchut. The first verse “ויהי־בנסע”, connect to movement, Z”A, Male, connect and draw to the Light. The second is “ובנחה־יאמר”, connect to rest, Female, manifesting the Light. Baal Haturim in his commentary to this parasha, reveals that “בנסע” in gimatria calculation of “אט-בח” is equal to “חשמל” (electricity). If you understand a little bit about electricity you realize that the first verse is connect to the Positive (+) and the second is to the Ground (-). The letter “נ” that usually represent falling “נפילה” (King David used “סומך־נופלים” in the Psalms of “Ashrei”, which is in order of the Alef-Bet to support the letter “נ”). Here it is turned 180 degrees to be a tool of elevation. It is no longer a regular “נ” of falling, but a one of elevation. “נ” has value of 50 to connect us to Binah and the two letters has value of 100 and it is the same value of “כלים” and abbreviation for “כהן־לוי־ישראל־מלכות”. The final letter “ם” has a big connection to the final redemption and it represents a complete vessel. The two verses, which appears as a separate paragraph in the Torah has 19 words. 12 in the first verse and 7 in the second. To add to the significance of these two verses, my friend, Ezra (Jeff) Meiliken, the mathematician, told me that the 1st verse of the Torah has 7 words and the last 12 words. This implies a complete system. The complete cycle of Hebrew calendar has 19 years. 12 regular and 7 leap years. 12 for the 12 months and 7 for the seven planets and letters “בגדכפרת”, which according to the book of formation “ספר־יצירה”, controls the seven planets that drive the Zodiac. There are altogether 85 letters = “פה” = mouth, which is the manifestation tool. The power of the mouth and prayer appears in this parasha as it is the first time we find in (Numbers 11:2) “וַיִּתְפַּלֵּל מֹשֶׁה” (“and Moshe Prayed”). “1 And the people were as murmurers, speaking evil in the ears of the G-d; and when G-d heard it, His anger was kindled; and the fire of G-d burnt among them, and devoured in the uttermost part of the camp” The negative part of the mouth came through the mouth of the people and they spoke “evil” “רַע” , Rabbi Ashlag of blessed memory explains that “רַע” is abbreviation for “רצון־עצמי” , “Selfish desire” and “רשע” (Evil) is for “רצון־של־עצמו” , “Desire for one self”. The nation felt the energy of expressing themselves but they made a mistake and used this power for selfish desires. That was in opposite to the way of the Light and fire came to burn and removes this negativity. The people screamed to Moshe, he prayed for them and the fire abated. He knew how to use the words to control physicality. The nation later continued complaining that they do not have meat to eat. In short, Moshe that was in a state of above the physical levels couldn’t connect to the people’s desire. If he would do that, it would have been like death for him. He was connected to the tree of life. He brought the Torah to the people. The midrash says that Moshe was not able to connect to his wife because of that reason. He was too high above (and that is why he never died.). G-d instruct him to assemble 70 people and G-d used part of Moshe’s divine spirit to bestow on the 70 elder people so they can do Moshe’s work without bringing Moshe down from his level. That created the power of prophesy among the elders and they were able to speak prophesies on that day of initiation. The people could now get what they want (the meat) but they had a strong desire that drew again negative energy and the Light had to remove that negativity and many people died because of that. Moshe did not or could not interfere because the elders had the duty of taking care of the people. In verse 12:1, Miriam and Aharon talked about a beautiful woman that Moshe took. As a result of their talks, G-d appeared immediately and took them to the Tabernacle. G-d talked about the ways he connects to his prophets and when the cloud moved away, they saw Miriam leprous. Miriam and Aharon were in a very high level. They merited the great miracles of the well of Miriam and the Clouds of Honor for Aharon. They knew that this is the best time to use Moshe to draw the light of healing and they did. G-d’s words to them were about his choice to reveal himself to the right person. See how Aharon use the word “אל־נא” twice to make Moshe make his prayer using 5 words with total of 11 letters. “אֵל, נָא רְפָא נָא לָהּ” . This is what Miriam and Aharon wanted to achieve and they did. They took risk on themselves for the benefits of all. And now we have this prayer for us to use every Shabbat to draw the light of healing to us and the sick. B”H we will merit a day of total unity with the Light, no sickness, no disease of any kind, Today, Amen. Author Zion NefeshPosted on September 12, 2009 Categories MainLeave a comment on Behalotcha -Do we have five or seven books in the Chumash? Re’eh – Why and how good is a kosher steak? Just before the Israelites entered the land of Yisrael, G-d revealed that the promised land is under our control, BUT, it is our choice and responsibility to connect to all the benefits that this land holds for us. The first verse of the parasha declares the choices, the second tells us how to connect to the blessing " the blessing , if you shall listen to the… " and the third verse " and the curse , if you shall not listen to… ". You see immediately that the curse comes if you do not follow the system. 1.1). (please read again to understand the concept). In 12:29 " that you shall set the blessing upon mount Gerizim, and the curse upon mount Ebal " " גְּרִזִים " and " עֵיבָל \’ , The mountain of blessing, " גְּרִזִים " has the numerical value of 260 (ten times the Tetragrammaton) also ג׳־רזים , means 3 secrets and also deeper meaning 3 lights ( רז =207= אור =Light ) that is mentioned at the end of the Parasha with the three holidays that we need to connect to the Holy Temple. T he curse, " עֵיבָל \’ is 112 and the same letters of " בילע " = swallow and refer to the darkness that exists when the light is swallowed (black color swallows all light (Physics 1.2) ). Death swallows us (to the ground and to nothing of physical). This will change when the prophecy of Isaiah (Isaiah 25:8) will be fulfilled and death will be swallowed for ever. Now we come to the eating of meat that appears many times in this parashah and the kosher steak, I mentioned in the title of this article. But before that we need to understand few important points. There are 16 places in Re\’eh where the 4 words of " בַּמָּקוֹם אֲשֶׁר-יִבְחַר יְקוָק " or " הַמָּקוֹם אֲשֶׁר-יִבְחַר יְקוָק ", appear 16 times (and three times in the next parasha of Shoftim). There is a lot of significance to those numbers but I want to focus on the steak (Please don\’t take it lightly as this analogy is full of Light). The important point to understand is that, these four words represent the connection to the Light, code name " ציון־וירושלים " ( Zion and Jerusalem ); " ציון " is the point where the Light is offering an open connection to us. " ירושלים " is the vessel or the place of connection. The Torah commentator, Baal Haturim, reveals that " אֶל-הַמָּקוֹם " as in the first appearance of the verse (12:5) has the numerical value in " את־בש " of " ירושלים ", Jerusalem , and " מָּקוֹם " has numerical value of " לציון ", "to Zion ". When we examine the word " מָּקוֹם " we find the word " קו " between two letters of " מ ", Built from Kaf and Vav (" כו ") =26. This letter\’s ordinal value is 13 = " אחד " = " אהבה " (x2=26), in Genesis 1:9 we find " יִקָּווּ הַמַּיִם מִתַּחַת הַשָּׁמַיִם אֶל-מָקוֹם אֶחָד " " \’ Let the waters under the heaven be gathered together unto one place ", Notice " יִקָּווּ " and " מָקוֹם אֶחָד " " one place " and this is the point of " אבן־השתיה ", "The Drinking Stone", where the whole process of creation began. This is where the Light flows to the world. This is where physicality began to form. The verse continues " וְתֵרָאֶה, הַיַּבָּשָׁה " " and let the dry land appear ". The word " יִקָּווּ \’ has the word " קו " and " י " and " ו " from both sides. Together they have numerical value of 16 and they represent the two letters of the Tetragrammaton of the Male energy, the flow of Light. The word " קו ", means line. The Holy Ari explains in the book "Tree Of Life" that to create the physical world G-d restricted himself in a middle point and created a void, a space by distancing himself from it. After that the Light of Endless, " אור־אין־סוף ", drew a line from the endless through the space to the middle point and with that light he created the all the worlds. Rabbi Ashlag of blessed memory, teaches the Tree of Life of the Ari, in his writings of " תלמוד־עשר־ספירות ", The "Study of The Ten Sefirot". As we have learned and as I have explained in my previous commentaries, the connection and revealing of the Light is by pushing it back. When we want to view an object, we point a light to it and we see it when the light reflects back. If it is a black object, it swallows the light. We can see a black object only when light reflects from its surroundings. When we come to the place " הַמָּקוֹם ", which is the Holy Temple , we bring offerings of physical matters to reveal the light and get the blessings. Eating is an important process of connecting to the Light. When we eat, we burn the food in our body and transform it into energy. Like the Kohen in the Holy Temple used to do with the sacrifices. The Torah teaches us which animals are good for our connection and which ones are not. The blessing over the food is important because it guarantees a proper transformation of physical to Light. The Numerical value of " הַמָּקוֹם אֲשֶׁר-יִבְחַר יְקוָק " is 912 + 1 (for the Kolel) = 913 = " בְּרֵאשִׁית \’ "Bereshit", the First word of the Torah and representation of the seed of creation. When we eat a kosher food, we transform the physical to good energy of upper levels, drawn from the good side of the Tree of Good and Bad. Non Kosher, connects us to physicality and the lower forces. Non Kosher could be very good physically, but not spiritually. We are warned to disconnect from the blood of the animal, because it holds the animal\’s soul and negativity. Rabbi Avraham Azulai in the book " מעשה־חושב ", expands on the meditation of the Ari, about the eating and blessings of the food. The 32 teeth related to the 32 paths of wisdom (Chokmah). We meditate on the letter Alef " א ", that is built from " י " at the top, " ו " in the middle and " י " at the bottom. When we take the " ו " and split it in the middle (lengthwise), we have " יו " on top and " וי " at the bottom like the 16 teeth on top and 16 on the bottom. When we chew the food we reveal its light and then we can swallow it. It is hard to remember the whole meditation and to apply it each time we eat but understanding the process and having it in our consciousness, help us connect better. That is why a kosher steak is good for you. For the people that wait for Mashiach to come in order to enjoy Steak with Cheese or a good Lobster tail in butter, here is why it will be okay then (only then) to eat any kind of meat/food without restriction. In short, we are now in the space created for us to reveal the Light; we need to connect to the light of Ein Sof, through the line given to us " הַמָּקוֹם ". It is done by our actions (doing the Mitzvoth). At the time of Mashiach, the whole space will be filled with Light, (Isaiah 30:26) " וְהָיָה אוֹר-הַלְּבָנָה, כְּאוֹר הַחַמָּה " " Moreover the light of the moon shall be as the light of the sun ". .. The Moon will have the light like the Sun.
" וְהָיָה יְקוָק לְמֶלֶךְ, עַל-כָּל-הָאָרֶץ; בַּיּוֹם הַהוּא, יִהְיֶה יְקוָק אֶחָד–וּשְׁמוֹ אֶחָד "
" And the LORD shall be King over all the earth; in that day shall the LORD be One, and His name one ". When the final redemption comes to happen, there will be no need to work and reveal light because the light will already be here. We can then enjoy all physical pleasures. Until then we need to work hard to reveal the light. Help each other, Give, Share, Sacrifice, Pray and Chew the steak (No butter on top!) before swallowing it. The harder we work, the faster we will merit seeing Mashiach. Today, Amen. Author Zion NefeshPosted on August 13, 2009 August 13, 2009 Categories Deuteronomy, TorahTags Torah Commentary3 Comments on Re’eh – Why and how good is a kosher steak? I started writing this article a while back but withheld releasing it because I was afraid of the negative impact it might have. I was concerned it could be the cause of separation as a result of hatred. This, of course, is a big responsibility that cannot be taken lightly. However, having seen the development of recent events, I felt compelled to release the article at this time. In fact, this will be the first in a new series of articles to make us more aware of the times we live in. Before I continue, I want to make it very clear that my intention is not to create hatred or to cause pain to anyone. Rather, I simply want to make us aware of a phenomenon that is manifesting (and gaining strength) in our world today. We need to become aware—and empowered with a new type of information—so we can make the best decisions of how to protect ourselves and our loved ones. The “good” I refer to in the title of this article are the Israelites: you and the countless others who have the consciousness and intent to bring more light to the world. The “bad” are the Erev Rav. The Erev Rav (ערב רב), or the mixed multitudes, are the souls of the 2.4 million individuals who left Egypt alongside the 600,000 Israelites. The Zohar states that all the souls that came out of Egypt during the Exodus will be present in the final generation—our generation—before the dawning of a new age. This means we will find four Erev Ravs for one Israelite living among us today. In recent news, we learned about a Jewish business giant filled with greed and a “grab all you can” attitude. We also read about rabbis and political leaders involved in criminal activities that included the trading of body organs. We should know that the people spoken about in the news are the Erev Rav. And, their acts have shamed all Israelites. (In fact, ערב רב has the same letters as רבב רע, which means evil flaw on the Israelites.) Therefore, it’s time for us to recognize who these individuals are and how to separate ourselves from them with the sole intent of seeking protection from their influence. In our generation, the generation preceding the coming of Mashiach, the Erev Rav have picked up tremendous strength—power and influence in all forms. These souls are “energy” parasites, clinging to the Israelites in order to consume their energy any way they can. Our work is to find ways of protecting ourselves, yet not have any hatred towards anyone, even if we are certain we are standing in front of an Erev Rav. Any form of hatred or harm caused to a single person, regardless of who they may be, creates negativity that dims the light of the Creator in this world. As Israelites, we must remember that everything in this world is filled with the light of the Creator (otherwise, it would not exist), and our role is to reveal it—not dim it. I use the term Israelite because the Torah (the Bible) and the Zohar do not ever use the word Jews (יהודים). The Torah doesn\’t mention this word at all. In the Bible, all occurrences of this word related to the exile of Judah. There is instance in which the word Jew (יהודי) in the singular form is used: it is found in the scroll of Esther when referring to Mordechai, who was exiled with the tribe of Judah (hence, the root of the word Jew), another similar instance in Aramaic in the book of Daniel (5:13) \”הוּא דָנִיֵּאל דִּי-מִן-בְּנֵי גָלוּתָא דִּי יְהוּד\” . This exile specified in Jeremiah 52. In all other instances, the word used is always Israelites, the Sons of Israel. The souls of the Israelites are rooted in the central column; they come directly from the lineage of Jacob the Patriarch, who was given the name Israel. The people known as Jews have a different spiritual process, which includes a greater responsibility to all the Israelites around the world. It is no coincidence that Jews can be found living nearly everywhere in the world since their role is to be a “lighthouse” for all of humanity. It is important to know this to ensure we are more clear on our roles and thus how best to distinguish between the Erev Rav and the Israelites. Many Jewish people are part of the Erev Rav. They were given an opportunity to redeem themselves because at one time they believed in system of the Torah and the Tree of Life. I highly recommend you stay connected to the Zohar, especially the portions featured in the Daily Zohar newsletter (http://DailyZohar.com). These daily portions give you direct access to the sacred text of Tikkunei Zohar, which is what Moses told Rabbi Shimon would be the protection for our generation. In this new series of articles, I will highlight sections from the Zohar and provide quotes related to the Erev Rav and their impact upon the world. Please read these new articles with the sole intent to be informed and to find the best way to protect yourself from the influence of the Erev Rav.